Kate Pullinger’s session on unprintable books was another highlight of the National Writers Forum for me. Pullinger (right) has been involved in a diverse array of projects that have traversed that sometimes impossible-looking gap between digital and print media – a gap that could well be a matter of perception over truth. In fact, Pullinger made the point that the perceived boundary between digital and print publishing is much more porous than we might think. 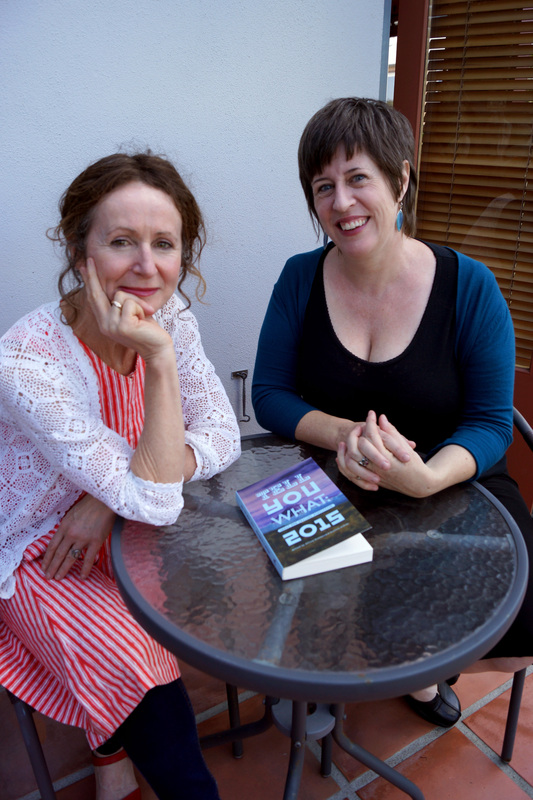 Pullinger’s first book was published traditionally when she was in her mid-20s. Since then she’s published a number of books and short stories –The Mistress of Nothing won the Canadian Governor General’s Literary Award in 2009. Yet she’s also diversified and carved out a space for herself, and other readers, writers and learners, in the digital space. Her project Inanimate Alice, which started out in 2005, has become exceptionally popular as an educational resource, as it’s an excellent example of how learning can be ‘gamified’ – combining text, animation, video, sound effects, music, and games with virtual participation. It’s still happening; episode six of Inanimate Alice was released in February this year. For Pullinger, online collaboration has worked well as a contrast to the solitary process of producing long-form work offline. Landing Gear, a novel that explores the relationship between a suburban housewife and a stowaway who falls from the sky, started its life online, with Pullinger’s participatory research phase involving around 100 people. Opening up the writing process to participation has a few notable advocates now – with scientific peer review attributed as a major factor in the success of breakout hit, The Martian, by Andy Weir. Next Pullinger talked about Letter to an Unknown Soldier, a commissioned online project to mark the hundredth anniversary of the declaration of World War One. Participants were encouraged to write a letter to the Paddington Station’s statue of an unknown soldier. The concept blossomed into an online work that involved 21,439 letters and 8 editorial moderators. When you have a spare moment, I thoroughly recommend perusing through this memorial, or perhaps buying the resulting print book, Letter to an Unknown Soldier: A New Kind of War Memorial, published by HarperCollins in 2014. But what of smartphones, those pesky pocket-sized computers that loom ominously over publishing? It’s all about finding a way to make the reading experience native to the medium; and Pullinger’s currently exploring how to do just that. Together with start-up oolipo, Pullinger has been working on a way to serialise fiction for smartphones – and there’s a lot more to this process than you might think. Our perceptions of reading in print can limit the way we work in digital space, as ‘the screen as a page’ metaphor persists in the digital reading space. I’m disappointed that I own a Samsung, as I do a lot of reading on my phone, and this project and the release of Pullinger’s serialised Jellybone is potentially industry-changing (though only available for iOS). I’m a huge fan of Pokѐmon Go, so when Pullinger mentioned ambient literature, I was right there alongside her. “Situated literature exploring delivery by pervasive computing platforms that respond to the presence of a reader to deliver story” may sound like a mouthful, but the idea of engaging with location-specific content is one that really excites me. I’d love to see this medium working with narrative non-fiction in an educational space, as it has the potential to bring about learning experiences that are kinetic, empathetic, and educational. Kate Pullinger spoke very freely of her experiences in publishing, and contributed very meaningfully to panel discussions. Her work in the digital space continues to break new ground, and I’ll certainly be following her upcoming projects with interest. The Writing Platform: Pullinger is the Editorial Director for this free resource for writers and poets on digital transformations in reading, writing and publishing. Inanimate Alice: An early digital project of Pullinger’s, that continues to be very popular as a classroom resource. Letter to an Unknown Soldier:A participatory online memorial to commemorate the centenary of WW1. Oolipo: A start-up exploring smartphone reading experiences and serialised work. Scott Pack’s been around the UK publishing block. 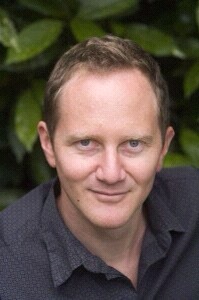 He was the head of buying for book retail giant Waterstones for six years, before venturing into publishing via indie publisher The Friday Project and HarperCollins. In Scott’s session, he talked candidly with Dominic Hoey about the ‘doom and gloom’ of the publishing industry, and some of his latest ground-breaking publishing endeavours: crowd-funding publisher Unbound, and the champion of out-of-print books, Abandoned Bookshop. “There is a perception that the publishing industry is fucked…” started Pack, when asked about the current state of publishing. But this attitude comes from publishing’s reliance on an antiquated business model. Essentially, publishers pay authors an advance based on guessing how many books they’ll sell – and this advance is signed for six, twelve, or even eighteen months out from that book appearing in bookstores. Now advances against royalties are dropping, but Scott reckons the publishing industry will keep on ticking – if only because it’s too big to completely die. A slightly morbid sentiment to start on, perhaps, especially considering the outstanding innovation of Unbound – think Kickstarter, but for a select number of passionately championed books – which in itself has the potential to shake-up the old publishing model and the way books are bought, made, and distributed. But crowdfunding changes not only the book-making processes, but also how people interact with books. Crowdfunding publishing, Pack says, brings the reader and author closer together – and sometimes more literally than you might think. Somewhat like Kickstarter, Unbound consults with authors to offer a range of ‘perks’ for pledges. These can range from digital copies of the book to exclusive events, signed copies – and in the case of Mr Bingo – an insulting Christmas Day phone call. Essentially, your readers are also funding your promotion, and while the average book on Unbound sells for £20-25, their average pledge is £40. For authors with an existing platform, engaging with the market in this way can be quite lucrative – unlike a traditional publisher, Unbound split profits with authors 50/50. Pack’s newest brainchild is Abandoned Bookshop, which he co-founded in 2016. Abandoned Bookshop takes forgotten out-of-print books and gives them a second life in the ebook market. Pack circumvents the usual bookish media channels, that often do not publish reviews of ebooks anyway, by wrapping his titles in a larger story. ‘Publisher hunts for forgotten detective novelist Clifton Robbins’ reads the title of this Guardian article, in which Abandoned Bookshop are seeking relatives of Robbins in order to pay out royalties. There’s no doubt that wrapping a story around a book like this works well on digital media, and “it’s not rocket science to take out-of-print books and make them available again,” but it does have the potential to inundate a small publisher with amateur genealogists. And what of the New Zealand publishing scene? Pack started out his time in New Zealand at Christchurch’s WORD festival a month ago. Since then he’s seen a fair number of our bookshops. “Books here are bloody expensive” states Pack, but it’s clear that those working in publishing are passionate. 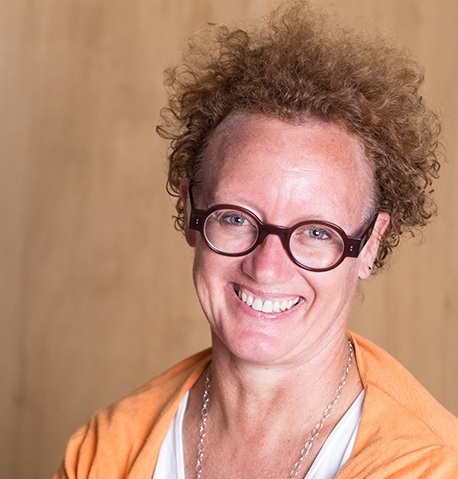 There’s innovation going on here, too, with new ventures like arts crowdfunding platform Boosted which just supported Hinemoana Baker to the tune of 17K, but it’s still hard for New Zealand books to break into the US and UK markets. This is something Pack hopes to change when he returns to the UK – hinting at some possible Abandoned Bookshop New Zealand releases. Yes, perhaps that old, rusting publishing model needs a bit of a makeover – but with enthusiastic arts champions like Pack and Hoey, I don’t doubt that publishing will continue to thrive. Apparently Chris Cleave has been on the road promoting his new book, Everyone Brave is Forgiven, since January. On hearing this, I half expected a bedraggled Cleave to front for the keynote speech of our first National Writers Forum: crumpled notes in hand, world-weary and longingly counting down the days until home. Instead, Cleave presented the most calm, thoughtful, and compelling commentary I’ve heard on the current global socio-economic climate and the resulting challenges writers are facing, not just in their work, but also in their lives. Cleave had obviously done his research. He started with a discussion of New Zealand literature and his experiences with a country that maintains a cultural focus while still having a healthy curiosity for the outward world. New Zealand, Cleave says, “punches well above its weight in literature”, sometimes much to his chagrin, what with all these New Zealand Man Booker Prize wins. Yet, he assures us, he doesn’t hate us. But hate is on the rise, and the hard right is resurgent. As Cleave so aptly put it: “People are building walls again, and topping them with barbed wire.” And the problem with this hate? It’s catching – and so much more readily compressible; perfectly adapted to the digital medium. Rage has become the fuelling emotion of our era. So, in a world filled with viral sound bites of hate, what can writers do to be useful? Cleave detailed a list of five things that writers can do to matter in an Orwellian world of fuelled by “Two Minutes Hate” – I thoroughly recommend that you read this list, along with the full transcript of Chris’s speech, on his website (link below). They’re points that deserve thoughtful reflection, and a pause for breath. Though I’m sure that all writers and the bookishly inclined will gain something different from Cleave’s list, the one that really stuck with me was number four: tell stories in a world no longer listening to fact. With science, reason and statistical analysis all failing to hold authority in our current political climates, storytellers have become the most powerful change makers. While this is a dangerous and somewhat scary thought, I do find something thrillingly Foucauldian about the idea. That this might be a step towards empowering subjugated knowledges – those low-ranking knowledges embodied and learned through human experience – is comforting in a way that cold, hard facts never could be. We live in a storied world. As Cleave puts it: “When we act like human beings we write like human beings. And when we write like human beings, people are drawn to read us.” Evil may be quick, dominating, and seductive; but appealing to humanity – something that writers have always done well – has the power to change this narrative, and to know when it has achieved its purpose. Read the full transcript of Chris Cleave’s amazing speech here. Uncle Sam was a bonus uncle: an army pal of my Uncle Ted from Malaya days who just sort of showed up and became part of the family. He came from an Irish clan further up the North Island, so I imagine when he met the Wellington Graces he felt right at home. Sam was larger than life; tremendously large to my young eyes, a big man at a time when not many people were. His voice was big, too – resonant, orotund, dramatic – and he sang like an angel. In fact, he sang in the choir of St Mary of the Angels, and when he died, the choir sang him out in a heavenly funeral mass. Sam was that old-fashioned thing: a lifelong bachelor. He never smoked, hardly drank, loved music, lived simply. And so he had money to spare. He was generous at a time when not many people were lavish with cash and with goodies. He never came to visit empty-handed, and his gifts were invariably glamorous, to me astonishingly so: liqueur and chocolates for the adults, pretty hankies for the ladies, hardback books for the children. Sam took children very seriously, which I appreciated, being a very serious child. We had long, grave conversations, and he always asked about what I was reading. I didn’t just look forward to those conversations with my honorary uncle, I positively swotted for them. 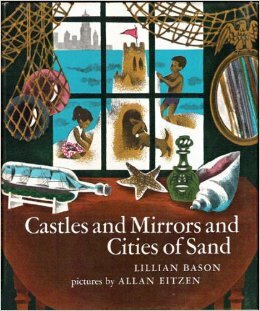 O ne of the books he brought – which might have been intended for my younger brother but became an obsession for me – was a picture book with the magical title Castles and Mirrors and Cities of Sand. A title like that promised a fantasy world of some sort, but this was a far more serious thing: a nonfiction picture book! 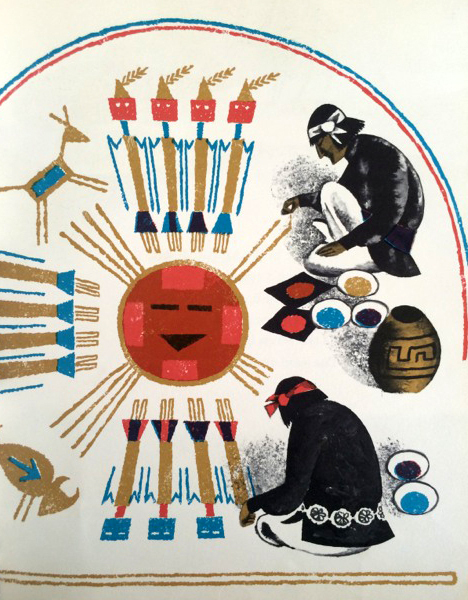 The pictures were evocative, fuzzily overprinted in gold and teal and pink and red, and something about their expansive simplicity drew me in. The illustrator, Allan Eitzen, was (Google tells me) a Mennonite, and now that I know this, I detect a pragmatic, reverent worldliness in the images. Children at play on a beach; Afghan men building houses from bricks made of sand and straw; Navajo sand-painters; bundled-up workers on trucks scattering sand on snowy roads; all children of God. And we’re in business. It’s a perfect nonfiction lede: stand by to see the world extrapolated from a grain of sand. Who knew sand had so many features, so many uses? Lillian knew. 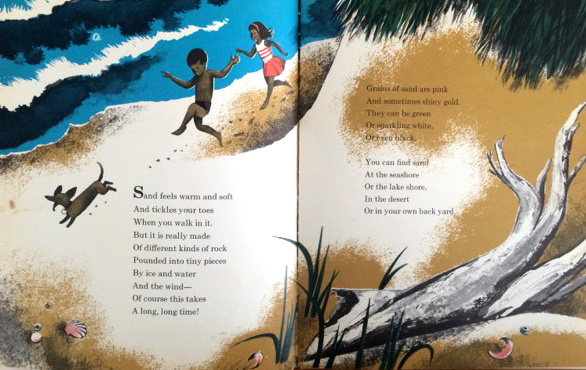 Start by really looking at sand, she urges the child reader. ‘Grains of sand are pink and sometimes shiny gold. They can be green or sparkling white, or even black.’ Look more closely: sand is someone’s home. Who’s living in the sand right now? Crabs and snails and starfish, for starters. And ants. Right under your nose. And out in the desert, a whole bunch of other creatures: lizards, horned toads, Gila monsters. If you don’t know what these are, Allan’s camouflaged pictures will show you. And what’s more, the book continues, sand is a medium: you’ve written in it at the beach; people paint with it in the desert. Sand is for art. The bright lines, primary and clear, an incantation: this sentence is a sand picture in words. The right design. Like language, sand is also an ephemeral encircling of the world, shifty and transformative. In the African desert, writes Lillian, ‘you can see how the dunes keep changing shape as the winds blow the sand around. 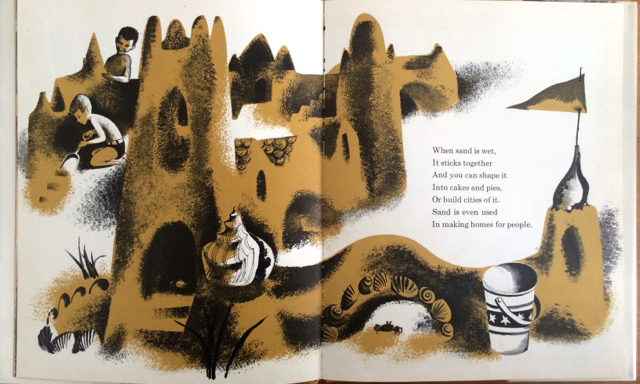 And if you go fishing along the coast, you can see how the waves keep washing the sand to new places along the shore.’ Allan’s illustration folds the dunes of one place into the dunes of the other. Sand, like language, shapes the world pro tem: always in play, no sooner apprehended than it’s whisked away by wind or water or time. This is persuasively put. And yet. In its combination of clear pictures and plain language, the end of Castles and Mirrors and Cities of Sand always had the power to send me hurtling out of myself into a sensation that both evaded description and demanded it, which is surely the definition of the sublime. Turn the page, and the chill arrives. 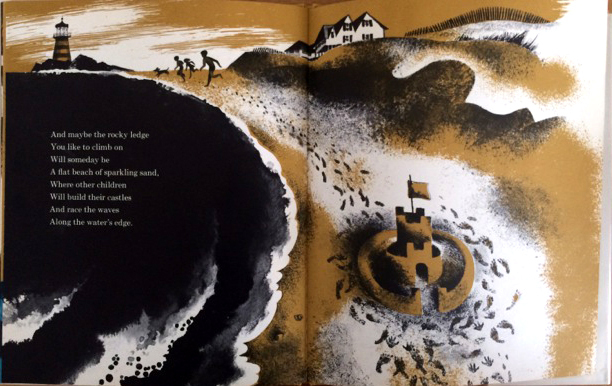 An ink-dark sea underpins a long wide stretch of golden beach curving up to a distant lighthouse, towards which children race, abandoning in the foreground a perfect sandcastle surrounded with a smatter of small footprints and handprints like prehistoric cave paintings. Time turns, and we’re tipped off the edge of it. This is what the best nonfiction does: it tells us things we didn’t know (about castles, mirrors, cities and sand), while reminding us of truths we know but don’t wish to (about time, implacable decline, finitude). As a child, I visited this strange, plain little book again and again purely to activate that nameless lurching sensation of holding infinity in the palm of my hand. As an adult, I cannot read it without thinking of E.B. White’s classic memento mori memoir, ‘Once More to the Lake’, and wishing for just one more grown-up conversation with the kind man who took children seriously and gave me this gritty gift. by Jolisa Gracewood, co-editor with Susanna Andrew of Tell You What: Great New Zealand Nonfiction 2015. In mid-2013, Gecko Press stopped accepting general manuscript submissions. Instead we said we would only consider work by previously published writers; writers who know someone we know; or writers whose work has been assessed by a manuscript assessor. The reason for this was that we were getting overwhelmed by the sheer number of manuscripts arriving in our box (some 500 a year). The reason for adding in the ‘writers who know someone we know’ sentence was because we wanted to keep our doors open to people who are tenacious and committed and who haven’t been published before – somehow to me this sentence leaves just a little room for those writers and illustrators to find us. Sometimes we say no to a manuscript, but that doesn’t mean we are saying no to all manuscripts from that writer. Just that one. It is not personal. It is just hard to get published, and I believe it should be. It is very hard to say no to manuscripts by writers you think are going to be great. Sometimes they go elsewhere. I understand publishers always take far too long to process manuscripts from a writer’s perspective and I know that is true with us. Sometimes the longer a manuscript is with us, the better that is. Gecko Press has published a book that was unsolicited by someone who didn’t meet any of our guidelines. 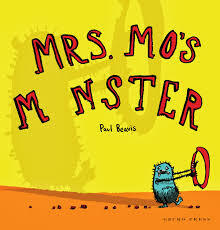 That was Mrs Mo’s Monster by Paul Beavis. (I hope he would have been tenacious enough to send it anyway, but he says he might not have been). I am reading Ann Patchett’s The story of a happy marriage at the moment – a great book for writers. She advises studying the website of the publisher or agent you are submitting to, deciding whether what you have fits in with what they are publishing and then following their instructions TO THE LETTER (Our instructions are here). 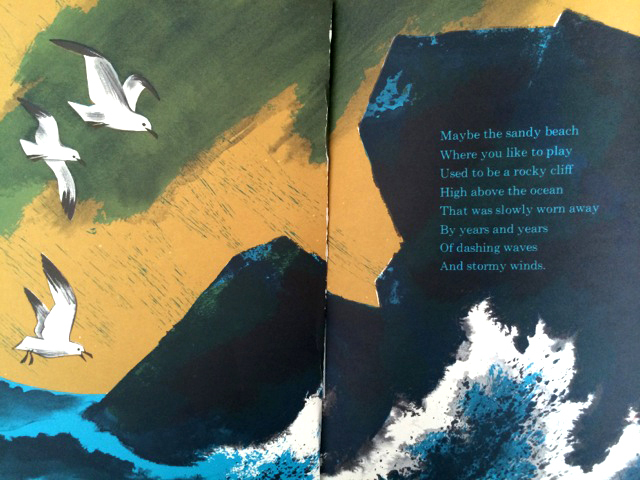 Common misconceptions are that writers of picture books think they need to send in an illustrated text – they don’t, unless they are an illustrator. They don’t need to present their work in person: the story needs to stand on its own. We cannot be bribed by chocolate or ribbons, or even money. Our decision is based on the work, and nothing else. Although people understand that learning to play the cello is hard and takes practice and craft and commitment, somehow, Ann Patchett says people think writing is easy. It is perhaps too tempting to submit a piece of writing too soon. She suggests – in my today-memory at least – comparing it to standing on the stage at Carnegie with a work that is unrehearsed, and a cello that is out of tune. But if you truly feel the work is ready, if you have put your heart and soul into it, then it is time to take a deep breath – and send it in. For every story of famous writers once rejected, are the less publicised stories of publishers who regret saying no. Saying no is their job. It is the saying yes that is hardest. If your work is rejected, you have to keep writing. And reading, of course. Gecko Press publishes around 15 children’s books every year. Of these, only three will typically be original to Gecko Press rather than translated. Our selection process is therefore very tight. Before submitting, take a look at our books to get a feel for what kinds of books we publish. We always like to read picture book texts with energy and originality and a strong story/narrative (not “ideas” stories). Please note we do not publish educational books or didactic books. We are also looking for Junior Fiction – novels for 6 to 10 year olds. We are looking for original, warm, character-driven work, with a strong plot and voice.